Why Do We Suffer From Tooth Loss? 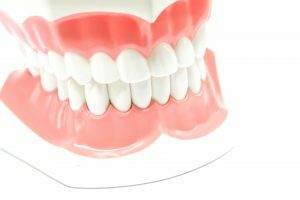 What causes a patient to lose one or more teeth? Several factors could be responsible, such as injury or untreated cavities or infection. However, the most common cause is periodontitis, the advanced stage of gum disease that attacks the connective tissue between your teeth and gums. We will perform a diagnosis to assess the cause of your tooth loss and if possible, recommend treatment to prevent further tooth loss and safeguard your smile’s health. Remember, addressing tooth loss is vital for avoiding misalignment, difficulties speaking clearly, and problems eating a variety of foods. Being forced to mainly rely on soft foods deprives your body of essential nutrients, leading to problems for your overall health! Not to mention the negative impact tooth loss may have on your social life, as many with missing teeth avoid interactions or try to hide their smile. What if you’ve lost every one of your teeth, or most of them? In these scenarios, you may need a full denture, which replaces every tooth on one or both arches. We will take detailed impressions of your smile in order to design and fabricate an appropriate prosthetic, one that looks natural and matches your facial structure. The denture will consist of a full row of teeth created from lifelike ceramic or zirconia. The base will be made from acrylic and designed to look like gum tissue. Natural suction will hold your new teeth in place, helping you enjoy a full and beautiful smile. What if you have multiple missing teeth, but not enough to require a full denture? Even if the gaps in your smile are spread out across the arch, we can help with a partial. Again, detailed impressions will allow us to create a lifelike prosthetic. Again, ceramic offers natural looking teeth and the acrylic base will look like gum tissue. However, now there will be metal clasps that attach to the natural teeth and anchor your new ones firmly in place. Whether you need a full or partial, we can use a custom-made prosthetic to restore your smile. 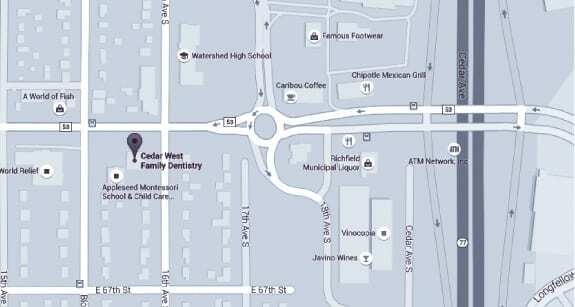 To learn more about replacing missing teeth, schedule a consultation with Dr. Keller by calling Cedar West Family Dentistry in Richfield, MN, today at (612) 861-7188.